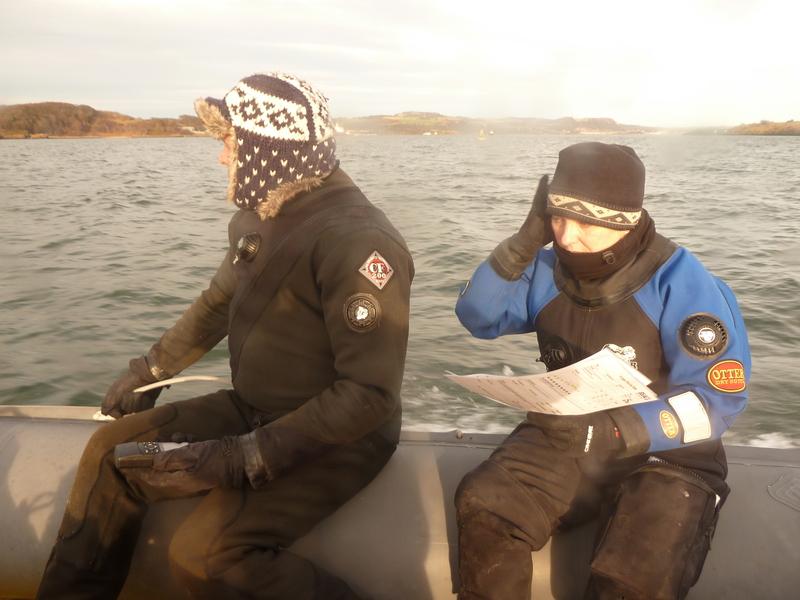 Over the Weekend Perth-BSAC in the guise of Paul our DO ran the BSAC Chartwork and Position Fixing SDC. 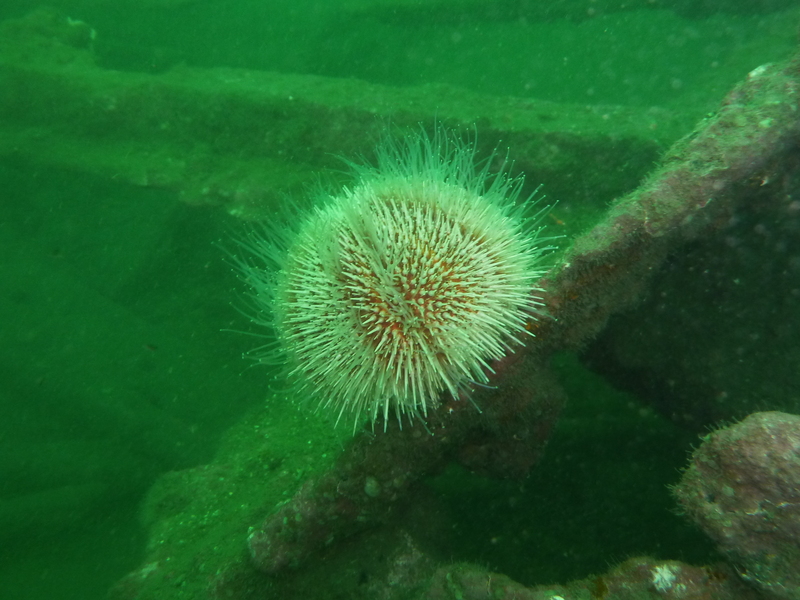 Securing the expertise of Pete, a BSAC National Instructor and Rob (Thistle Divers), the new South Scotland Regional Coach, it was opened up to the South Scotland Region. And so it was that the Perth crew, consisting of Steve, Hamish, Maureen, Fred and Chris , were joined by Anne from Thistle Divers and Alex from Stirling. So with Paul, who was getting his instructor assist there were, in total, ten of us. The course is a two day event, the first, and by consensus, very long day, covered theory and was held in the Moncrieff Arms. 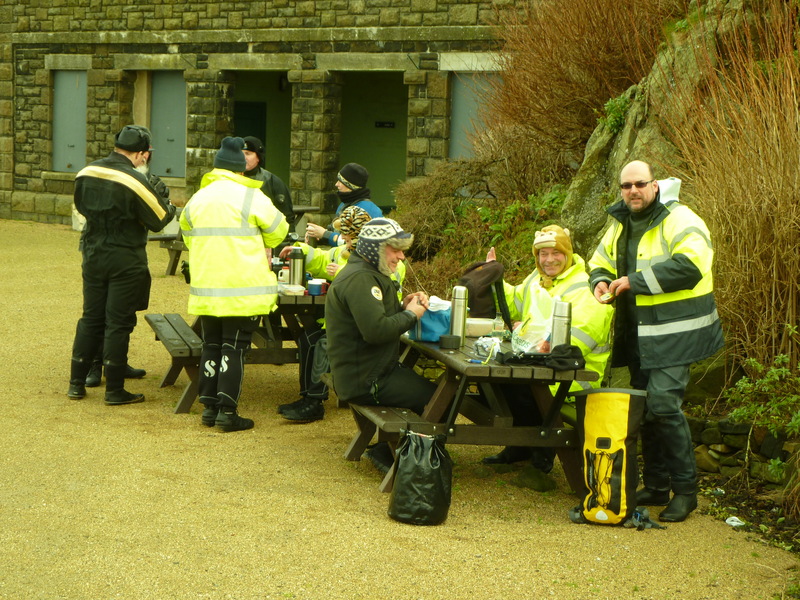 Steve arrange for Duncan to provide a sandwich lunch (with vegetarian option) at a very modest cost and tea and coffee was provided throughout the day to keep both instructors and students alive! We covered some interesting ground both on the more formal side of things and then taking the opportunity to scour some charts and plan a route for the following day. By 19:30 we were all done in and ready for some sleep. Sunday dawned cold and clear though Perth basin was covered in fog and we shivered as we hitched Deep Dancer to Paul’s car for the short tow down to South Queensferry. 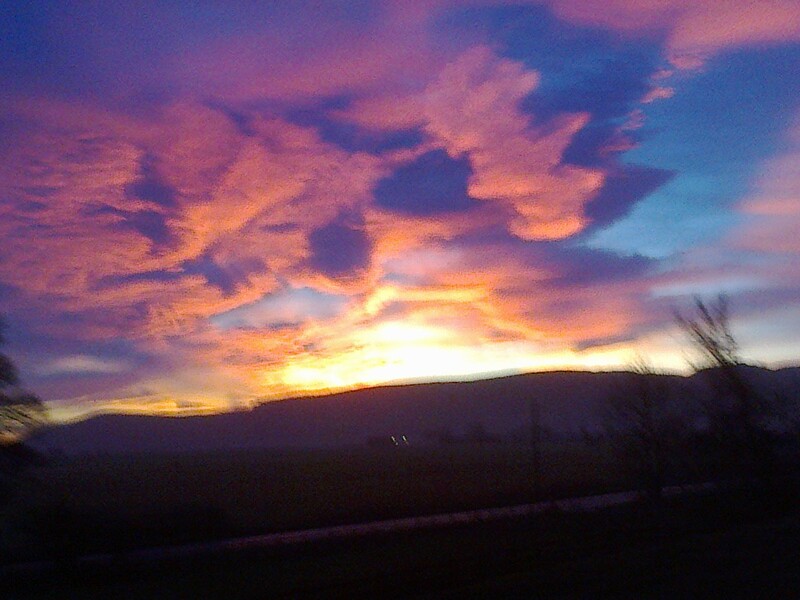 A stunning sunrise over Kirkcaldy with hues of vermilion shortening to vivid aquamarine. A suitable start to a day bobbing around on the Forth. Launching from the slip we crossed under the rail bridge and made for the east end of Inchgarvie where we used transects to locate a small cliff which we had identified as a potential dive site. This was an invaluable lesson as some of the points we had chosen from the chart were not obvious and the others were not visible! From Inchgarvie we crossed the channel to Saint David’s light off North Queensferry before heading off to Inchcolm Island to identify the leading lights and navigate into the landing to warm up while we had lunch. 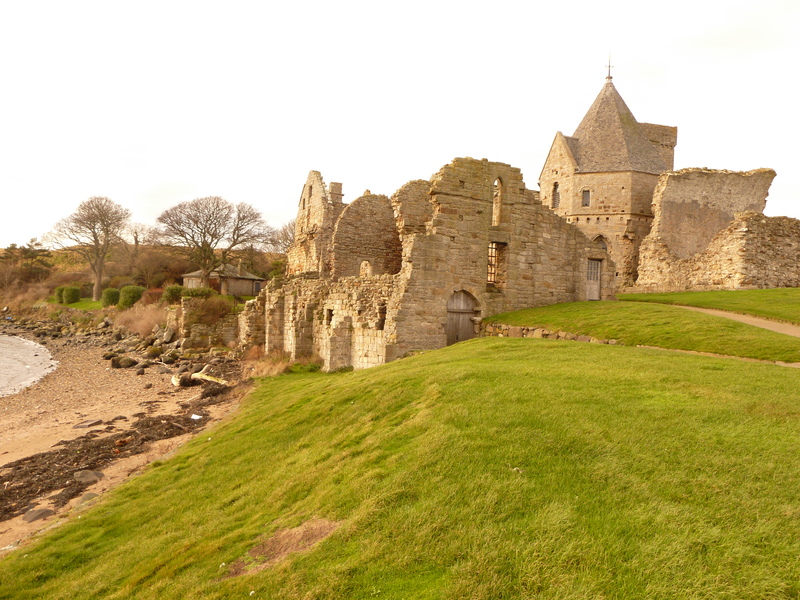 The island is home to a priory originally founded by King David 1, it became an abbey in 1235. After the dissolutionment of the monasteries it fell out of use and is now managed by Historic Scotland. 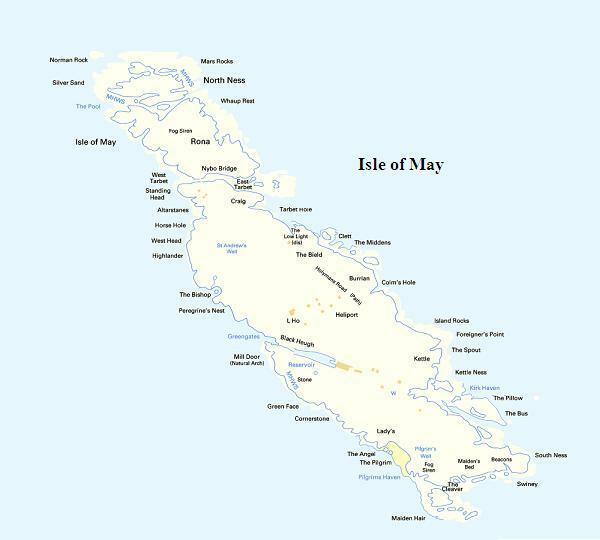 The island itself is an important bird and seal sanctuary and a popular tourist attraction with a lot to offer. 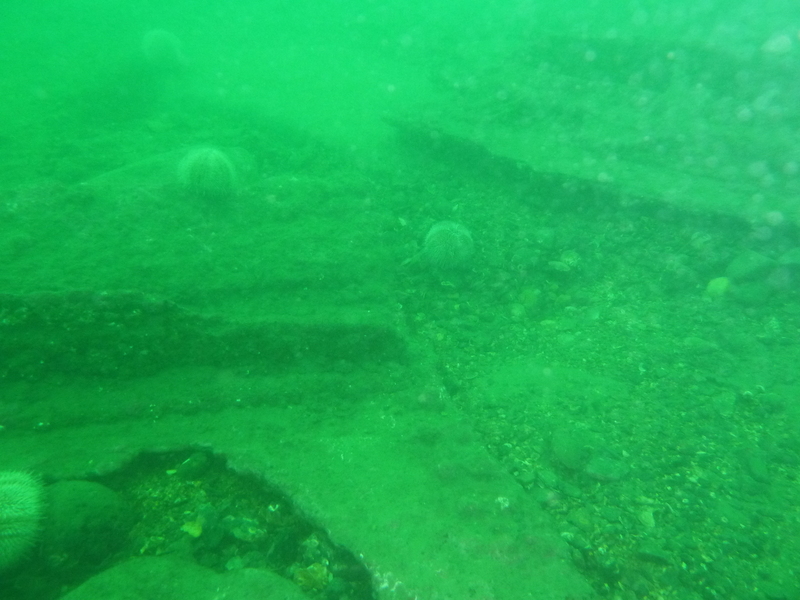 We repeated the exercise to locate a wall off Haystack island, a small skerry to the west of Inchcolm before discovering what the channel markers were really used for and then made our way back to South Queensferry to recover the boats, passing a group of sea kayaker exploring under the rail bridge. 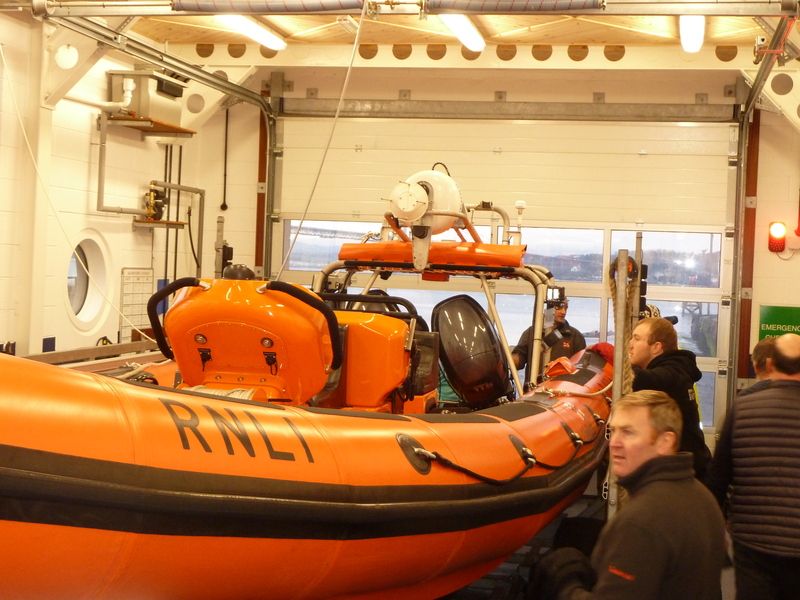 To finish the day Paul had arranged a visit to the RNLI station where we were shown around their premises including their crew room and their remarkable RHIB which came with an astounding price tag (so keep those donations coming in – Ed), before debriefing the SDC in their training room. An enormous thank you to Paul for organising this course. We all had a very enjoyable time and had a grand day out on the Forth in what can only be called very good weather for January. Thanks are due to Pete and Rob for coming along to lead the instruction and keep us on the straight and narrow. As ever thanks to those that towed the boats. I think a special mention for Duncan and Raymond at the Moncrieff Arms for laying on sandwiches and coffee which were very much appreciated. Thanks to the RNLI for showing us the Lifeboat station and allowing us use of their lecture room instead of freezing outside being debriefed on the Pier and finally a thank you to everyone who came along and participated, we learnt loads, had fun, got a tour of the bridges and Islands of the inner forth and got to meet other divers from the region which is always a pleasure. 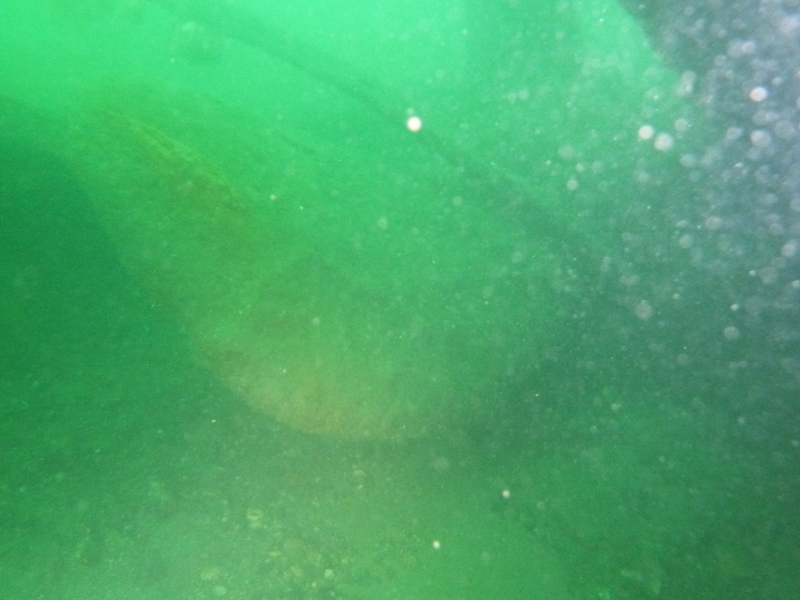 With a few days of calm weather and high water slack just two hours away eight divers arrived at the Dive Bunker just after 6pm after setting up our kit on Mark’s newest Boat (Every time I visit him he has a bigger Rib this one with a wheel house, music and heating! 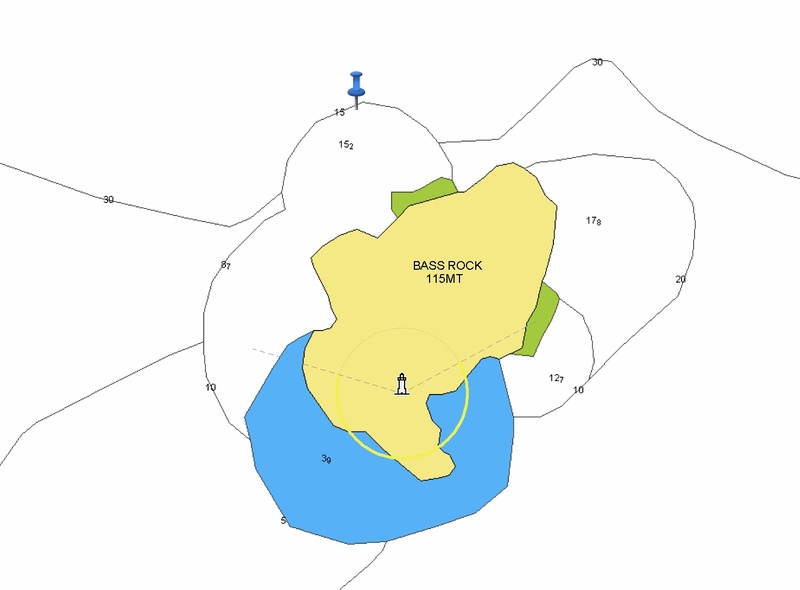 after walking across to the slip we jumped into the Boat and headed out to the Blae Rock which stretches for about 1 mile North to South between Inchkeith Island and Burntisland. the Top of the Rock is about 9 metres and slopes gently to the East and there are 50 metre walls to the west for the more adventurous. 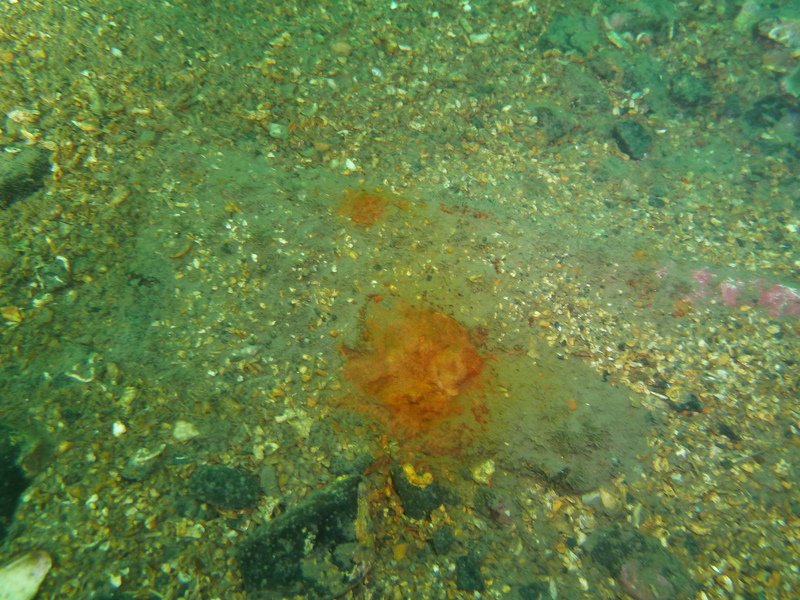 I have dived the Blae rock several times over the years, the visibility can vary from 2 metres to 6 metres and I hoped the Works with the new Forth Road Bridge hadn’t impacted on the visibility, with the flood tide we hopefully would get clean water from the North Sea. After a briefing from Mark and dropping into the water just up from the shot we headed down to the Rock heading north west west Colin and I floated over the beds of Brittle Stars dispersed with the occasional Edible Crab hiding in a Patch of Sand or standing defiantly on the top of a rock. The shear density of the life on this rock is quite unique I haven’t seen anything similar, the main attraction is the variety and colours of Anemones is amazing I have included some photos below, as we were diving the current started to change and we found several 1-2 metre reefs which took us round to the scree Slope Mark had described and moving away from the rock the currents started to kick in and we started to drift onto the flat bottom. 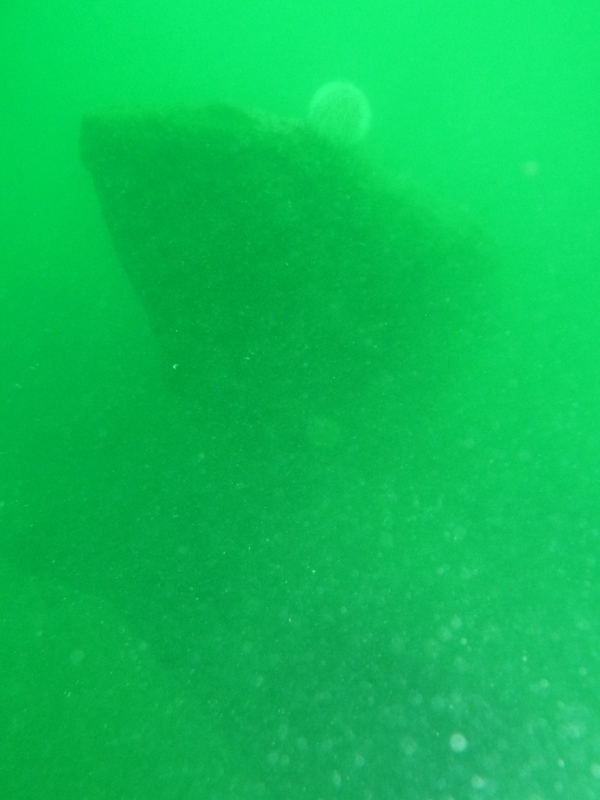 We decided to swim back to the rock and head back up from 20 metres to the top of the rock. 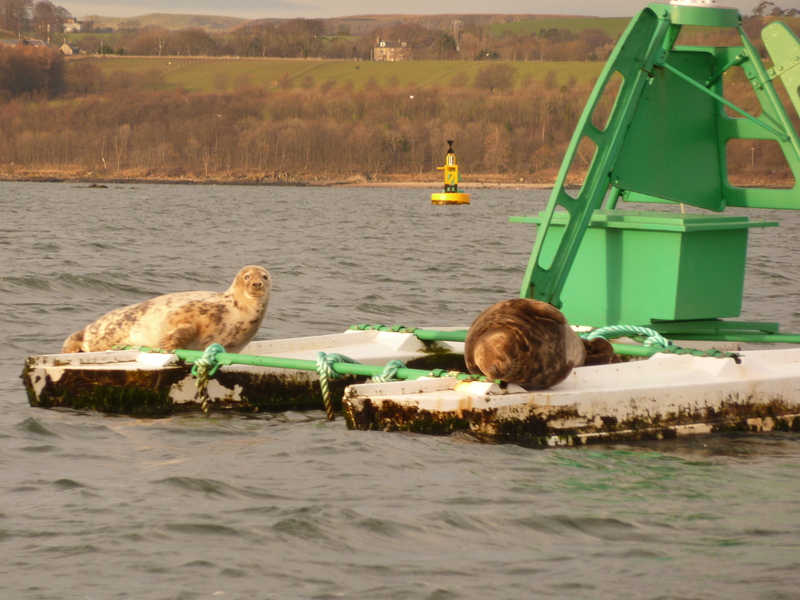 After deploying a delayed Surface Marker Buoy we head to the surface for a final surprise – Sunset over Burntisland – Awesome! After chatting on the the boat enjoying the last rays of the setting sun we head back to port. 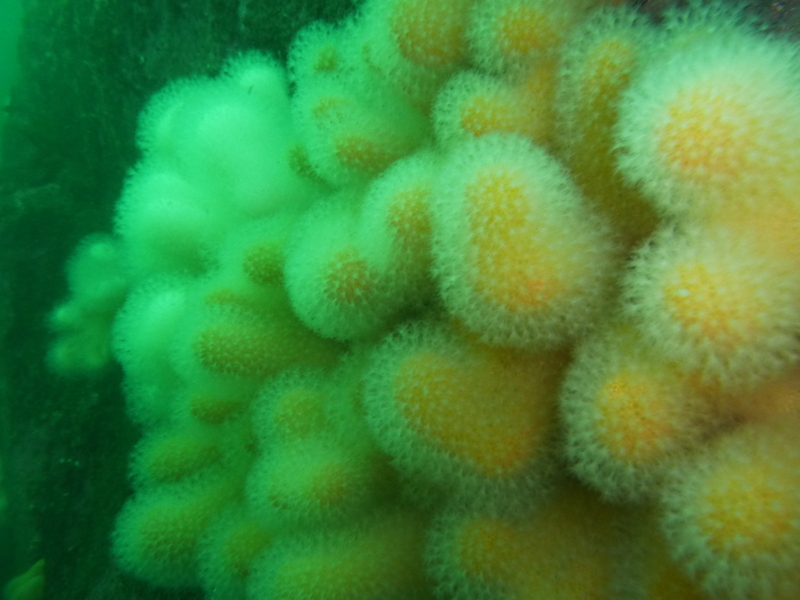 Thanks to Mark and his team for an enjoyable nights diving. 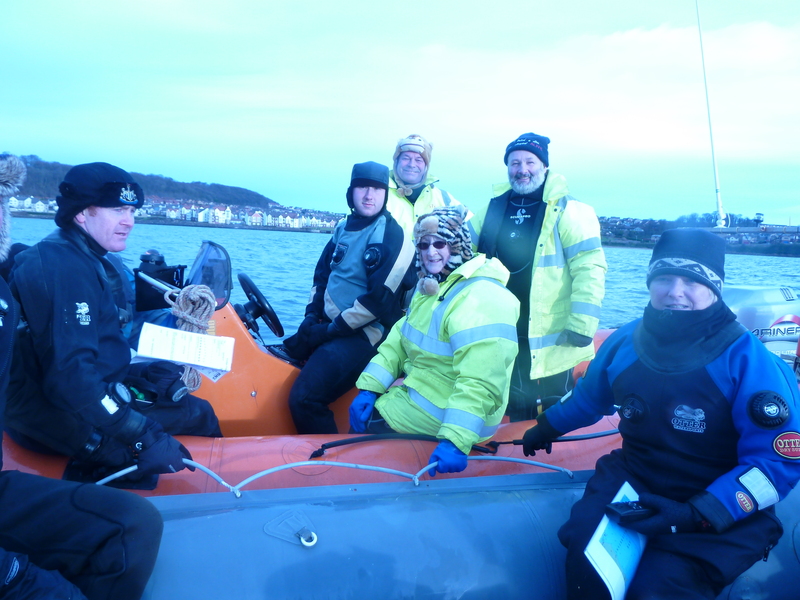 To be at the club hut at 07:30 after the summer clocks change is always hard but we all made it and after a few last minute hitches a small group of six divers were off to Anstruther to launch the club RHIB on the RNLI slip. Todays trip gave us the chance to shake down “Deep Dancer” prior to the Oban weekend and we are happy to report that both boat and trailer were performing well. 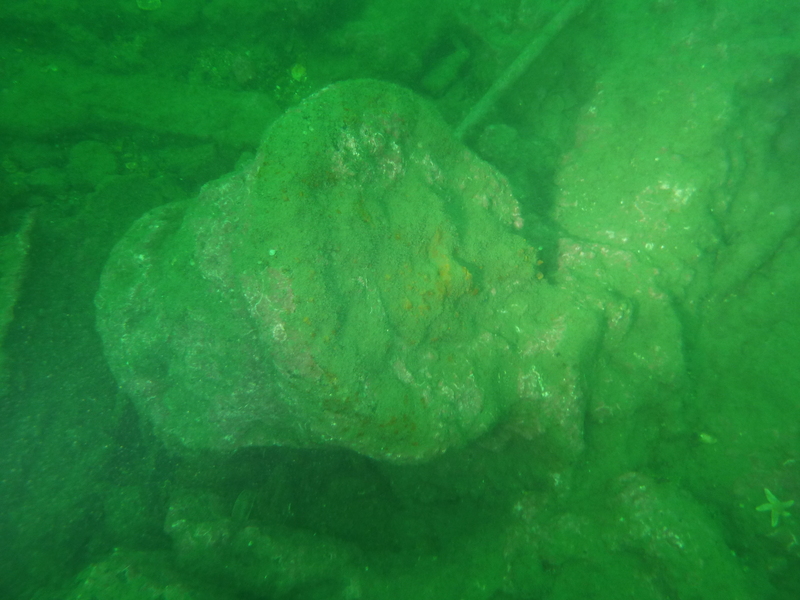 First dive was on a reef just between Colm’s Hole and the Middens on the East side of the Island and north of the wreck of the “SS Island”. Dropping into 12m and reasonable East coast vis, we traversed a small wall of dead man’s fingers before finning over boulders and bed rock. At a full degree colder than the West coast, the gauge read slightly less than 6 degrees and felt very chilly, especially when diving with an incorrectly fitted dump valve and the ensuing insidious trickle that eventually reached my feet! Lunch time saw us land at the East or low water landing and take the opportunity to make a short pilgramage round the South of the island. The ruined Benedictine monastery, dating back from the 9th Century the key note of some interesting archeology. 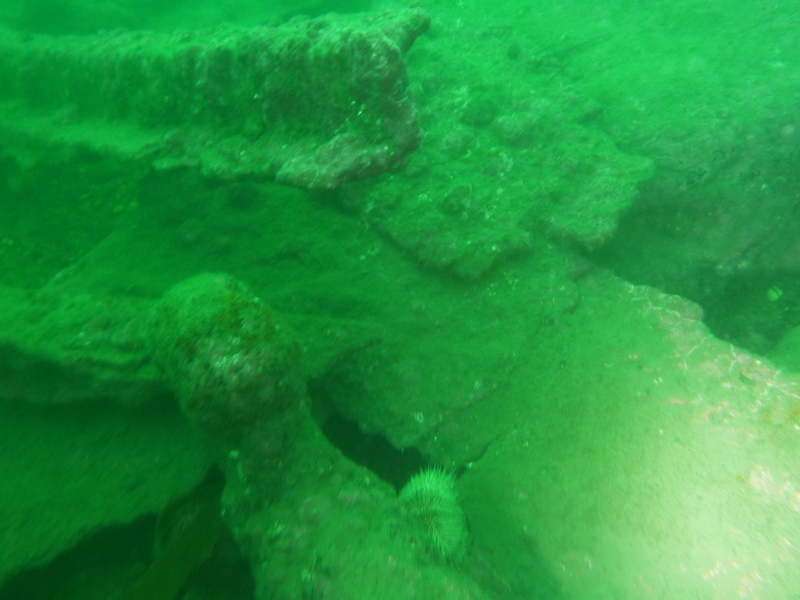 Having ruled out Maiden Hairs rocks for a second dive due to the chop, we settled for the wreck of the Anlaby (or Ann Labbie) off the Altarstanes or Standing Head near the West or High Water landing where a few grey seals were popping up to see what we were doing. The gulls had started to claim teritorial sites on the cliffs but we didn’t see any gannets, guillemots or puffins today. from RCAHMS site info: 23 August 1873, ANLABY, SS, of Hull, 717 tons, Master Thomas Martin, iron screw steamship, departed Leith Roads for Danzig, 23 crew, carrying coal, stranded on the west side of May Island. 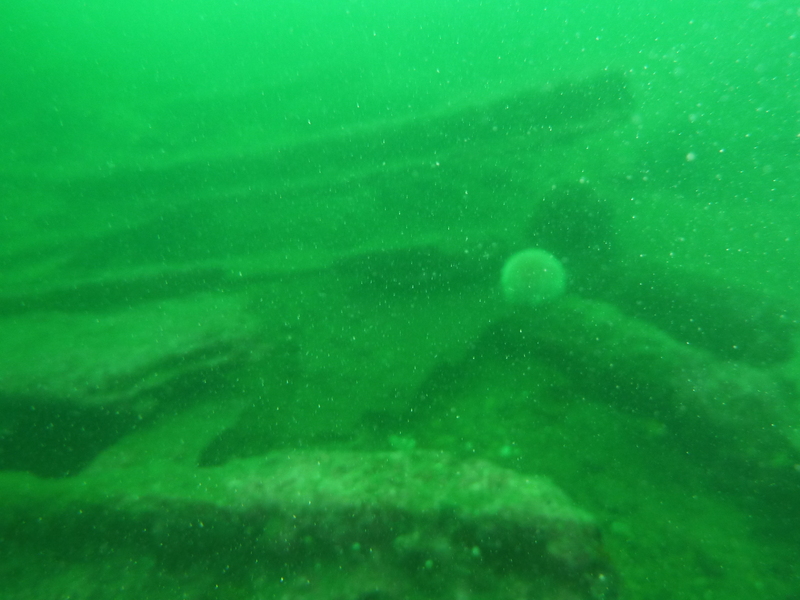 In August 1880 divers were engaged in blowing up the hull of the steamer to salvage portions of the hull and machinery. 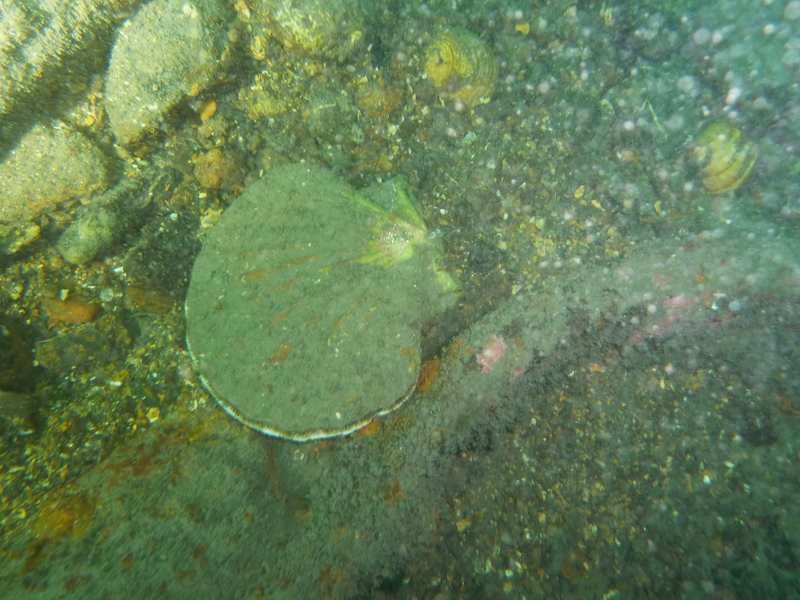 where we had a rummage, Gary and Izzy finding a few lobsters, then turned round and retraced our tracks back the way we came where I came across my very first East Coast scallop.